Three former homeland security secretaries warned congressional leaders and officials of both parties on Wednesday that the window for legislative action to protect undocumented immigrants brought to the country as children will close by the middle of January, months before a period outlined by the White House. The letter — signed by Jeh Johnson and Janet Napolitano, homeland security secretaries under President Barack Obama, and Michael Chertoff, a homeland security secretary under President George W. Bush — was sent as congressional leaders and aides to President Trump prepare for a meeting on Wednesday on Capitol Hill, where the Obama-era program known as Deferred Action on Childhood Arrivals, or DACA, is expected to be discussed. In September, Mr. Trump ordered an end to the program, which shields young undocumented immigrants from deportation, and gave Congress six months to extend those protections, granted by Mr. Obama under an executive action in 2012. The policy permits beneficiaries of the program, known as Dreamers, to remain in the country without fear of immediate removal and gives them the right to work legally. They went on to warn that they knew of the number of changes that must be enforced to allow applications by Dreamers who would apply to stay in the United States. The six-month deadline set by Mr. Trump perpetuated a misconception that there was no urgency in finding a solution, the letter continued. There needs to be proper time to train people to ensure that applications are properly reviewed, they wrote, saying that when DACA was established, it took nearly three months before the first applications were approved. 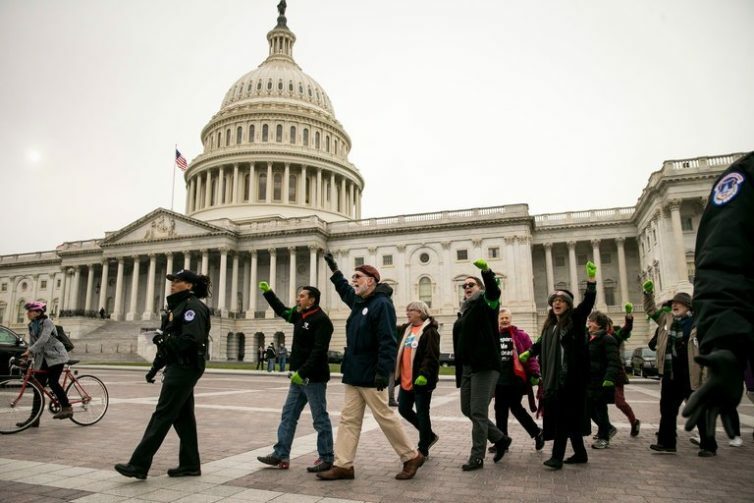 They estimated that Congress would need to pass a bill by Jan. 19 to guarantee enough time for the applications to be processed before the March 5 date that the Trump administration set as a grace period of sorts.